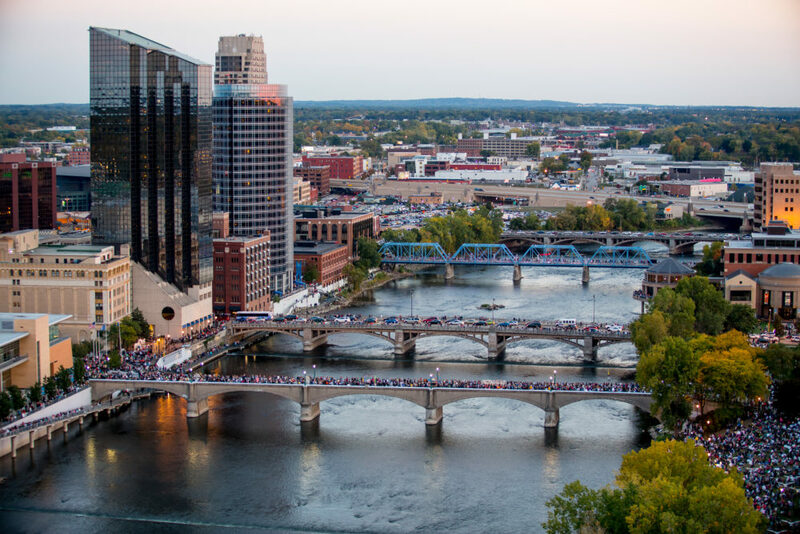 From Sept. 7 – Oct. 27, 2019, the Project 1 exhibition will occupy multiple outdoor sites in Grand Rapids, Michigan and will feature temporary public artworks by 3-5 artists. The seven week run will be punctuated by a series of events, volunteer opportunities, educational programs and performances. The Project 1 theme and participating artists will be announced in early 2019. The Project 1 curatorial advisory committee includes: Joseph Becherer, Director of the Snite Museum of Art at the University of Notre Dame; Dan Cameron, Independent Curator; Nicole Caruth, Independent Curator and Writer; Alice Gray Stites, Chief Curator of 21c Museum Hotels; Larry Ossei-Mensah, Susanne Feld Hilberry Senior Curator Museum of Contemporary Art Detroit; and Rebecca Carbin, Independent Curator and founder of I Heart Your Work Art Futures.